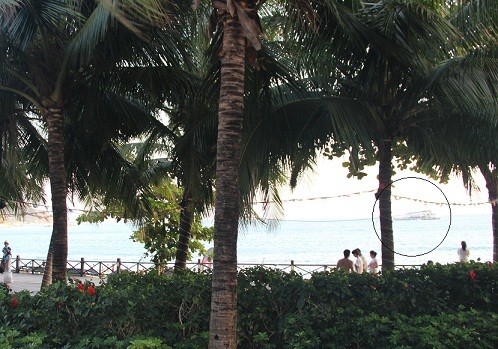 Dadonghai is the most popular beach in Sanya, frequented by many local and international tourists. It is one of China’s 5As tourism spots. The white beach looks inviting, and it is usually clean. 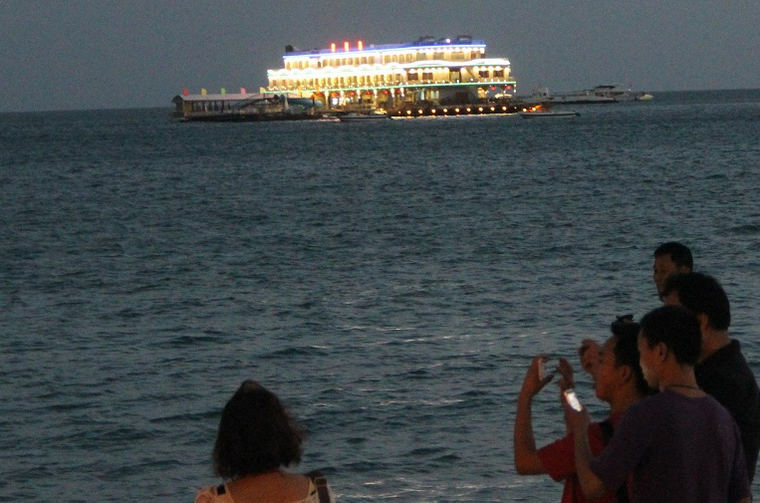 However, a floating restaurant operating in Dadonghai in Sanya has aroused public concern once again over the sea pollution in the ocean in its immediate vicinity. 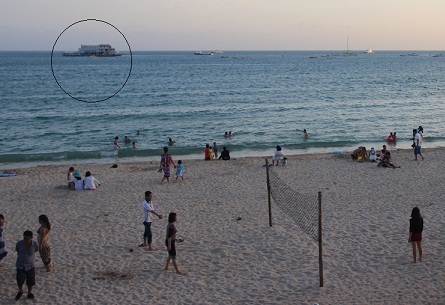 The vessel called ‘Happiness Ship’ which can be seen in the distance from the Dadonghai beach, is a floating restaurant run by Dadonghai Seafood Village. Customers who want to dine on the vessel can make reservations and then they will be transported by small boats to aboard the vessel. Some local residents, expats and tourists in the Dadonghai area expressed their concern that such a restaurant may be releasing a huge amount of waste into the sea, which is one of the most popular destinations in Sanya and attracts a huge number of international and domestic tourists every year. 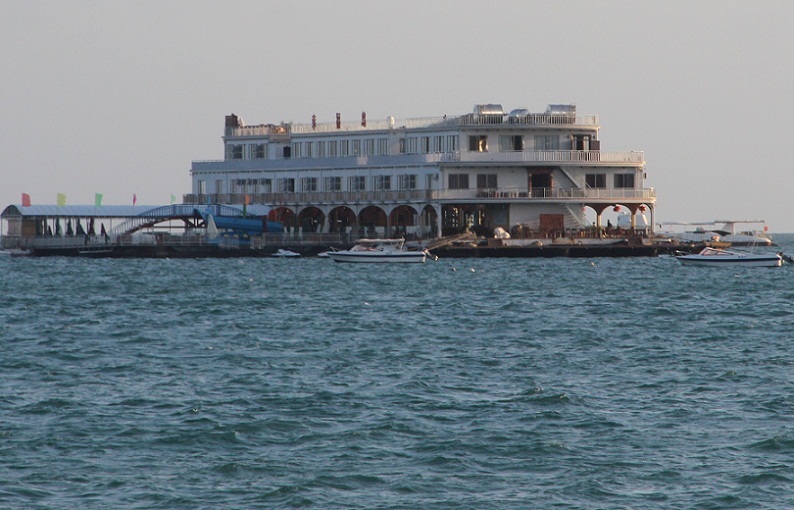 In China, floating restaurants have been banned in many cities due to their frequent polluting of the sea. and it is usually clean.